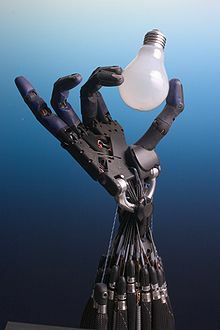 Robotics is the branch of technology that deals with the design, construction, operation and application of robots and computer systems for their control, sensory feedback, and information processing. These technologies deal with automated machines that can take the place of humans, in hazardous or manufacturing processes, or simply just resemble humans. Many of today’s robots are inspired by nature contributing to the field of bio-inspired robotics.